If you’re nerdy and you know it clap your hands because the comic books, video games and Star Wars costumes that once made enthusiasts the targets of bullying are now being embraced by popular culture. Shows like Big Bang Theory and The Walking Dead, massive comic conventions and more mainstream virtual gaming are helping the subculture gain wider appeal. Long Beach is the place for closeted nerds to step out and check out the niche places made for endless hours of perusing through the pristine sheets of glossy vintage comics, shooting zombies behind a simulator and bonding with fellow members of the local nerd herd. Bursting at the seams with a wide selection of comics and graphic novels, this place is for more than just a superhero fix. They debunk misconceived notions of comics being superhero-and-spandex centric with their ample selection emphasizing that comic books are a medium not a genre. 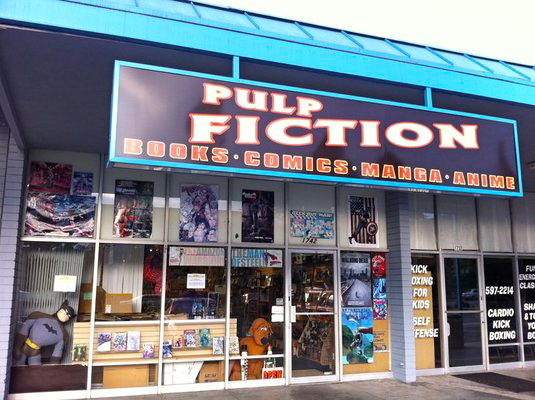 Pulp Fiction specializes in offering graphic novels of all genres and strives to have the biggest selection possible with over 10,000 options. Growth at the store, noticeable by most comic junkies, was partly attributable to the shift at DC Comics, which led to a larger awareness and the re-launch of The Justice League. On Saturday, Aug. 10, they will be having a back-issue sidewalk sale. They will be selling over 2,000 comics for 25 cents each. It does not stop there because this place regularly discounts graphic novels up to 40% off. Stepping in the door of Amazing Comics and Cards means entering a more modern action figure wonderland. This nerdist staple has been in Long Beach since 1989 so they have fostered the interests and fulfilled the comic book needs of many from their teenage years into their adulthood. They downsized about five years ago in order to highlight newer varieties of comics, figures, cards and games. Most of their products are more modern but they do have comics that are from the ‘90s. This place has action figures galore including those made by Pop Vinyl and their most popular selling figures are Iron Man and The Hulk. Their mostly adult and college-aged clientele can get their fix of card games like Pokémon and get expert advice on other games like World of Warcraft and Vanguard when they pop in. The mecca where nerds donning Princess Leia buns, manga inspired costumes, and everything else under the sun flock from all over the country to celebrate comic books and pop culture is Long Beach’s Comic and Horror Con. With over 10,000 attendees in previous years, this event draws a unique crowd to the city of Long Beach. The event features opportunities for fans to meet their favorite creators and stars including representatives from Aspen and DC Comics and actors from The Walking Dead. 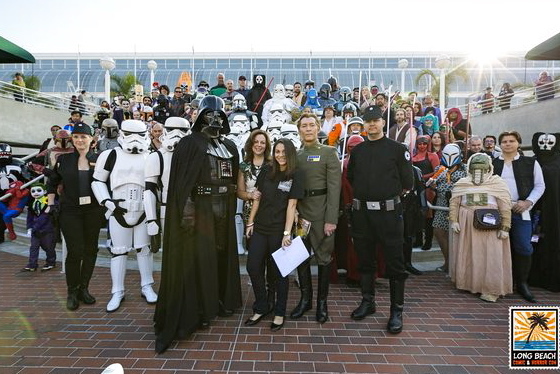 This year the convention will celebrate its fifth anniversary and the event will take place November 23-34 at the Long Beach Convention Center. 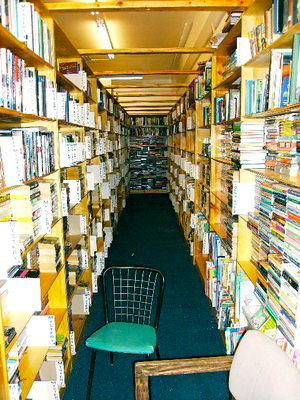 This place may be the happy medium to get your nerd on with your pack of more popp culture-neutral friends. KDB seems to have a little bit of something for everyone with a restaurant serving up a bit more than your typical pub food, two bars that broadcast sporting events, a bowling alley, live entertainment on the weekends and an arcade. Their game floor has over 100 activities and attractions including racing simulation and other interactive games. Their happy hour on Thursday and Friday last from 3 p.m. to close so you don’t have to rush from virtually shooting zombies in the den to get your half price drinks before an early hour. For local Long Beachers who rarely venture to the touristy Pike, this Dave and Busters like joint can be a good excuse for a friend’s night out.